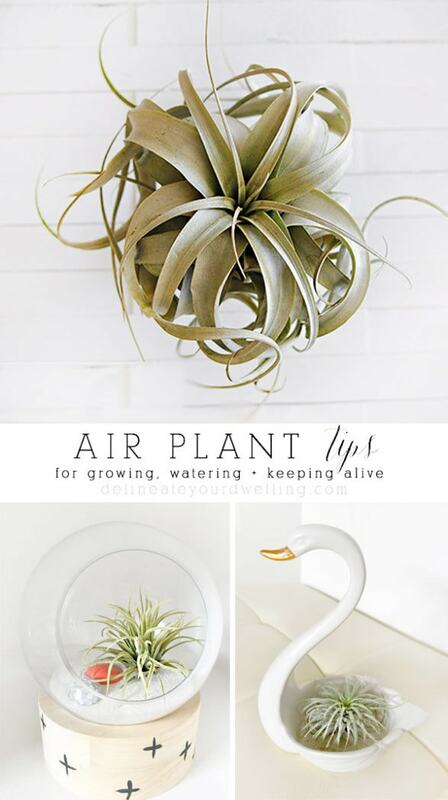 INSIDE : Tips for keeping your Air Plant growing healthy, watering information and general care! Let’s grow the best air plants we can! As soon as I saw this beautiful air plant I just knew she was coming home with me… and I had no idea how to keep an Air Plant alive, especially in the dry desert climate of NM. This might be trouble but I did some research and wanted to share some tips today for growing, watering and keeping your Air Plant alive (even if you live in the desert). I got this huge gorgeous air plant, a Xerographic, at West Elm a few years ago. I immediately named her ‘Curly’. It is about five to six inches in diameter. I just adore all it’s curly leaves! Be still my plant loving heart. You can also get this beauty over at Amazon now!! As it grows, the arms curl and wrap around itself which makes it even more amazing. The Xerographic is fairly hardy and from time to time enjoys indirect sun. You can even bring your Xerographic outdoors for short bits, as long as the weather is mild. How do Air Plants Grow? 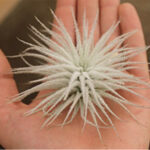 Air plants are mostly very easy growers. The entire basis of them is that you don’t need any dirt to provide nutrients or moisture. 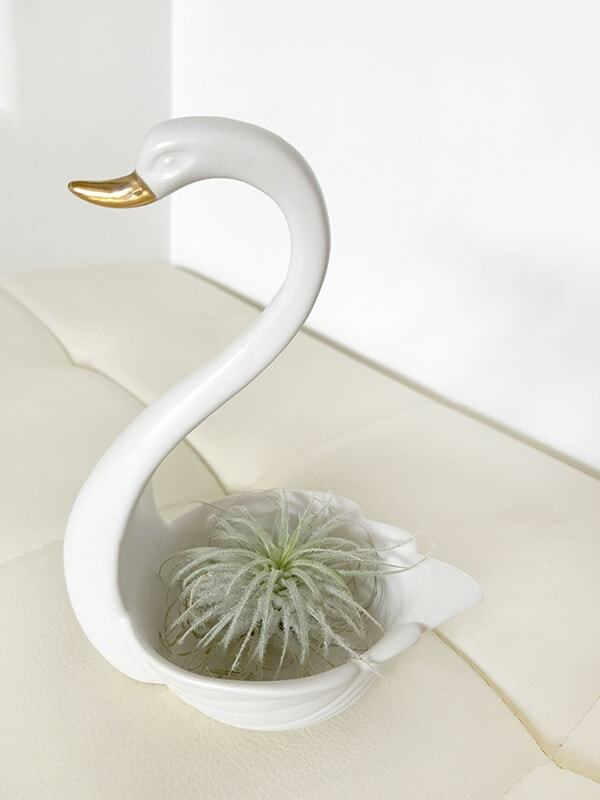 If you are a notorious plant killer, often times starting with an air plant is a great place to go. This is my fuzzy air plant, I call him snowball. He sits in my white swan. Native air plants attach themselves to rocks, trees, shrubs, or the ground with their roots. 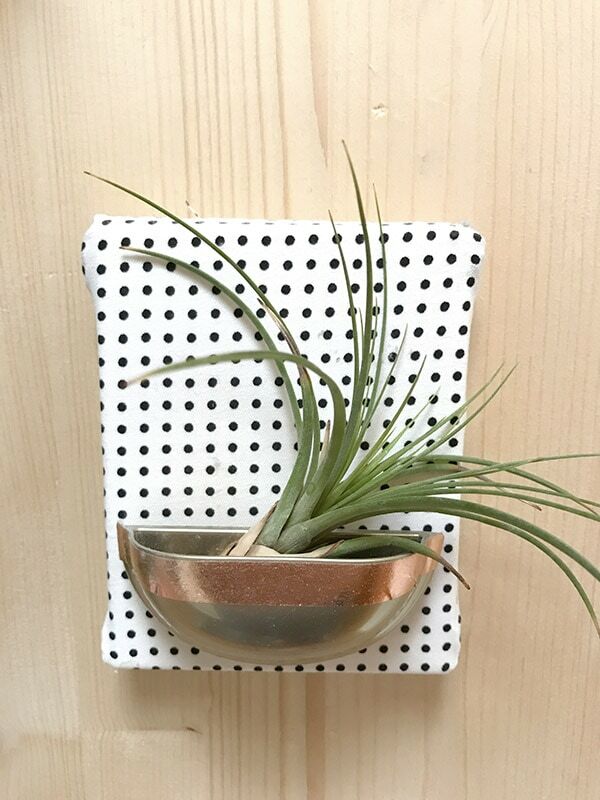 However since the popularity of air plants in recent years, you can now put an air plant just about anywhere in your home without the worry of roots and soil! 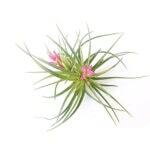 What are Air Plant Watering Needs? There are several types of air plants and those with silver foliage tend to be the most drought-tolerant with the lowest water needs. 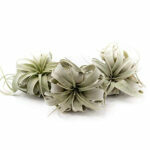 The greener air plants dry out faster, however a general rule of thumb is to water your air plants once a week. However, if the air in your house is particularly dry (We live in NM and have very low humidity.) water or mist more often, every four to five days. If you live in a humid area, water every ten days. I find it best to just keep an eye on your plants to determine what exactly their water needs. If one of your plants looks severely dried out, pull off the very bottom dried parts and place the plant in a bowl of water for several hours. Misting your plants in between waterings every few days, is another way to keep them looking fresh. 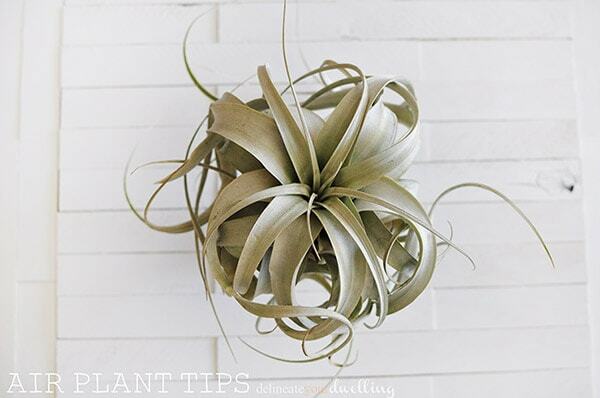 This air plant hangs out by the front door to greet everyone as they walk in! Can I overwater Air Plants? 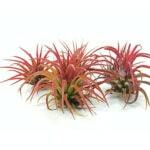 Be careful with air plants that have visible bulbs at their bases; if they get too waterlogged, they will rot. Once you are done soaking those, turn them upside down and allow all the water to run out and dry before putting them back in their home. 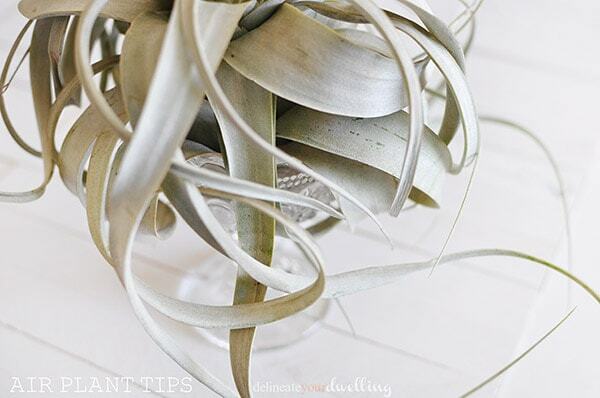 One of the keys to air plant survival is constant air circulation. 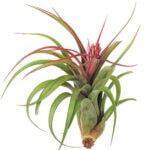 Wherever you put your airplant, make sure there is space for the base of the plant to have air. 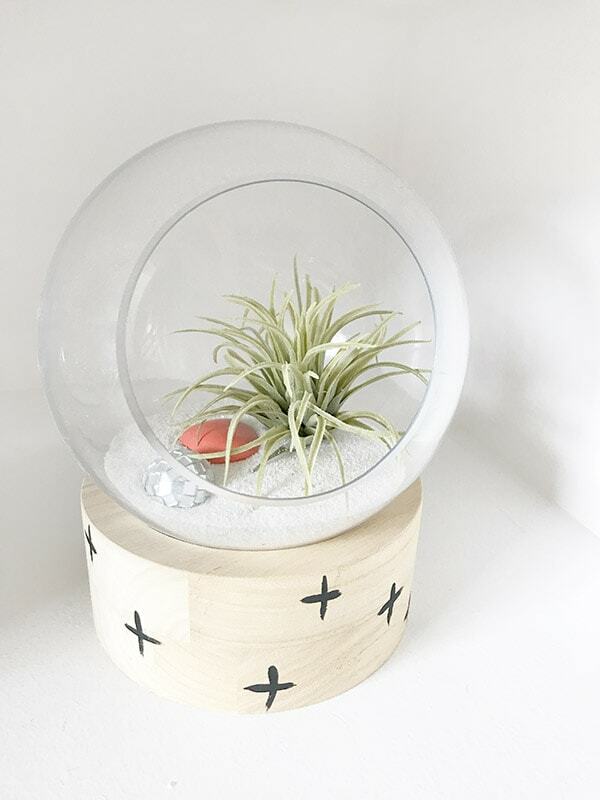 Don’t let your air plant sit somewhere colder than 45 degrees; it will die at those temperatures. If you live in Zone 9 or warmer, you can grow an air plant outdoors all year if you keep it dry during the winter. You’ll know that an air plant is happy when it sends up flowers. Once the flower dries out, all you need to do is snip it off. 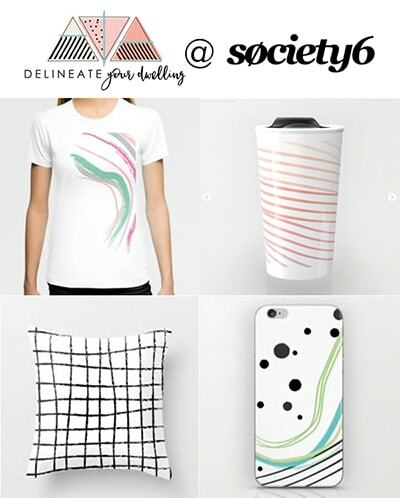 Hi, thanks for this post! I have a whole lot of air plants that I am growing at the moment, they are still quite small but when I got them they were growing on a big bunch so they grew very long (if that makes sense). I have now separated them so am hoping that the heads grow bigger like the one indoor pic. Did yours also start out with a small head? Yay, I love air plants! The one I have pictured here, I bought just like it’s shown and it’s grown bigger since. The curls have just gotten bigger and wavier. Good luck with all yours. I never thought to soak them in water, I always just poured water on top lol… Ok now I should not kill anymore! Thanks AMY! So pretty! Where do you get your airplants from? I need one of those STAT! It is beautiful and I just might be able to handle taking care of one with my non green thumb. Thanks for the info Amy! 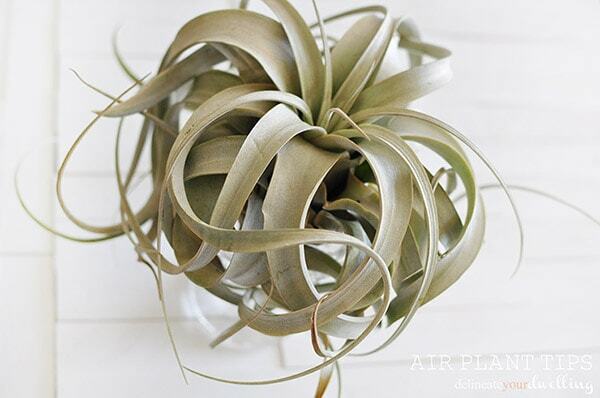 Loving your beautiful air plant’s curls too! I love these. I only have one right now. Thanks for sharing all this. I’m going to share it with my facebook group. 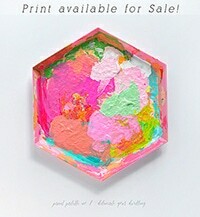 I found you via classy clutter link up. Thanks for the tips. I saw some air plants at Lowe’s the other day and was curious about them. I think I need to take another look! Love air plants, they grow wild down here in S Florida especially on the oak trees, and I never water them, unless they are inside of course! Oh wow, Brenda! I can’t imagine air plants growing wild outdoors. Such fun! Gorgeous! I didn’t know about airplants, but they look beautiful. Must check them out. Thanks for raising my awareness!! Yes, Elizabeth… you MUST check them out. So easy and so lovely, too!! You are so right, Michelle! They are the most lovely sculptures. I love the look of this. Do you have any idea how they would grow in England? You know, I’m not sure how they would do in England. But, I think if I’m able to keep mine alive living in LOW humidity and HIGH temps, you should be fine! Yay, I’ve got an air plant convert! Definitely look into them, Danialle! I haven’t jumped on board with these yet, but they are so cool! I didn’t realize you could just mist them on non-watering days… good tip!